On August 23, polling for the bye-election for Bawana constituency, one of the largest in Delhi in terms of number of electors, saw 45 per cent voter turnout, much lower than during the 2015 Assembly elections which had recorded 61.83 polling. 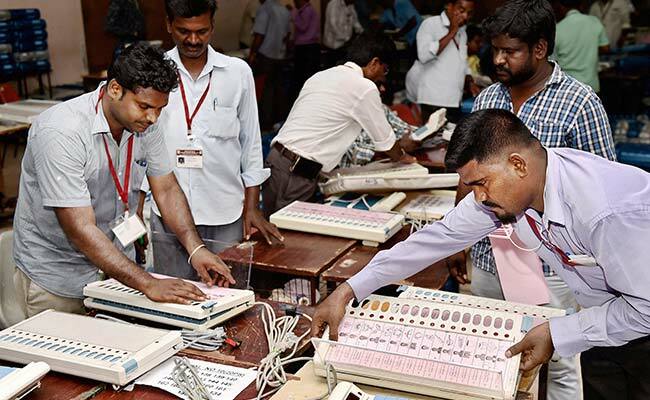 New Delhi: Counting of votes for the high-stakes Bawana by-election in Delhi, which is being seen as a barometer of political influence in the city, will be held tomorrow. It will decide the fate of candidates of the three major political parties -- the ruling AAP, the BJP and the Congress, all of whom have exuded confidence about winning the Assembly seat reserved for the SC category. Eight candidates are in the fray but essentially the AAP, the BJP and the Congress are locked in a triangular contest. In the 70-member Delhi Assembly, the AAP has 65 MLAs, the BJP four whole Congress is hoping to open its account in the House by winning this seat. Incidentally, in the Rajouri Garden by-election, held earlier this year, the BJP wrested the seat from the AAP while a resurgent Congress had finished second. For Bawana by-election, the BJP has fielded Ved Prakash who had won from the constituency in the 2015 elections as an AAP candidate. He had resigned from Assembly membership and joined the BJP in March this year, necessitating the by-election. The AAP's candidate is Ram Chandra, while the Congress has placed its bet on former three-time MLA from Bawana, Surendra Kumar. There are 2.94 lakh voters in Bawana, including 1,64,114 males, 1,30,143 females and 25 third gender voters. Voting was held peacefully in 379 polling stations across the Assembly constituency. According to officials an EVM and 17 VVPAT devices had malfunctioned during polling, and were replaced without any hindrance to voting. The officials conjectured that multiple elections taking place in the city in quick succession could be a factor for the low turnout in Bawana, adding that voter turnout is "generally low" in by-election.